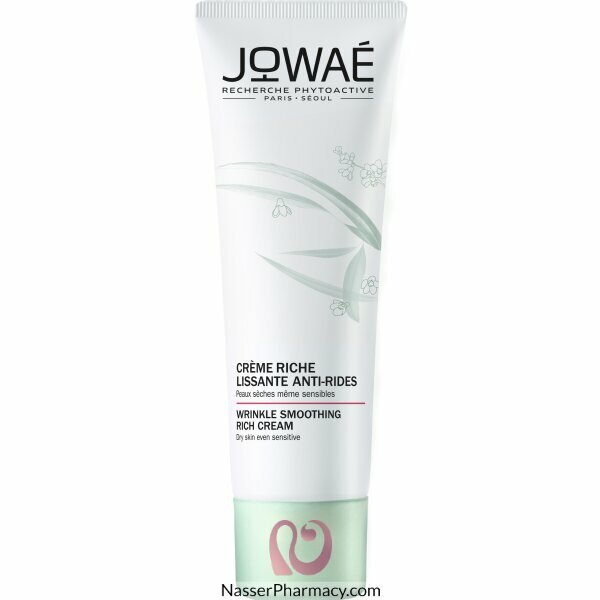 Jowaé Wrinkle Smoothing Rich Cream is a revitalizing anti-aging care for normal to combination skins, even sensitive, based of antioxidant Lumiphenols and Red Ginseng. Red Ginseng is used for centuries in traditional medicine for its stimulating and anti-aging properties. This cream contains also Hyaluronic Acid associated to smoothing peptide and vegetable glycerin. Wrinkles are faded, the skin is firmer, plumped and moisturized in depth. It is visibly younger and smoother. The complexion is radiant and luminous.